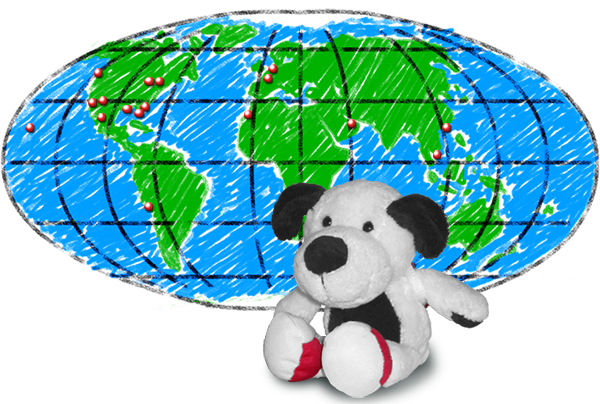 Did you know Cooper the traveling stuffed dog went to over 7 countries and 10 U.S. cities/regions in 2014? In just the last month he was in Thailand, Morocco and France (impressive!). The world’s largest stuffed otter named Elliott has found a new home on Seattle’s waterfront. Thanks to Seattle Antiques Market for taking care of him and giving him a great place to hang out. If you’re in the area (just below Pike Place Market), drop by and say hello (and there is free parking right in front). 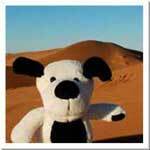 Don’t forget to pick up copies of your favorite kids travel books, Cooper’s Pack Children’s Travel Guides, at the store. 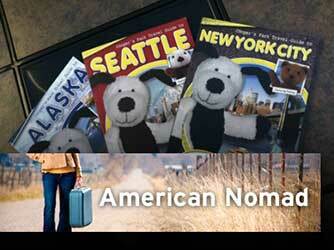 Elliott first became famous when he was featured in the children’s travel guide, Cooper’s Pack–Seattle. 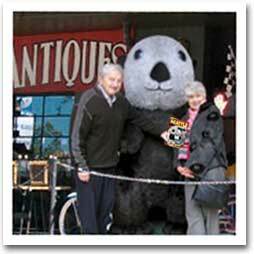 He has since become a leading Seattle mascot and is certainly the cutest otter in the land. Come down and say hello to him at Seattle Antiques Market where they are caring for him and feeding him his daily ration of his favorite food (Penn Cove oysters and crab).